Newark from the air. Photo credit flickr user Payton Chung. Newark has a lot going for it these days. 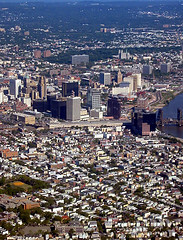 Aside from sitting at the confluence of some of the most valuable transportation infrastructure in the nation (I-95, Newark Liberty International Airport, Port Newark, the Northeast Rail Corridor), New Jersey’s largest city now hosts a popular arena and performing arts center, and recently reversed its decades-long population decline. But the city has still struggled to attract major employers. 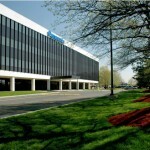 Now, as National Resources Defense Council’s Kaid Benfield heralds the demise of the suburban office park on his blog, the Star-Ledger reportson the flip side of this trend, citing increased interest from companies to move to downtown Newark. 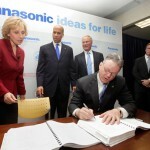 The Ledger reports the city has been receiving calls from companies interested in emulating Panasonic, which recently decided to move its North American headquarters from Secaucus to Newark. 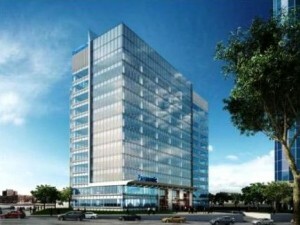 This renewed interest in Newark is fueled, in part, by the Urban Transit Hub Tax Credit program, which offers a sizable financial incentive to corporations for making sizable capital investments within one-half mile of a transit facility in one of nine designated “transit hubs.” (Panasonic will receive more than $100 million under the program for its move. 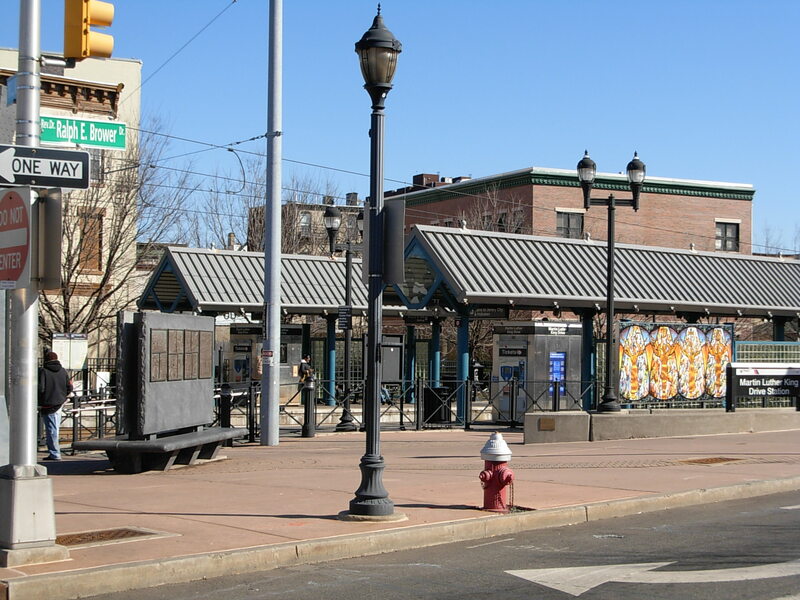 ), The increased activity in Newark and other designated cities is evidence that the incentive is having its intended effect of spurring urban revitalization. Companies investing in New Brunswick, Camden and Elizabeth have also received credits under the program. 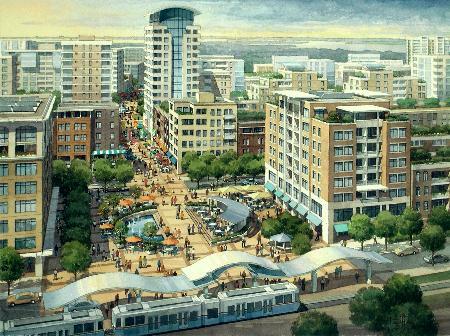 Moreover, after spending years of indirectly subsidizing suburban development by building roads and other infrastructure to aid the exodus of New Jersey’s cities, the UTHTC program helps reverse this trend by incentivizing companies to return.